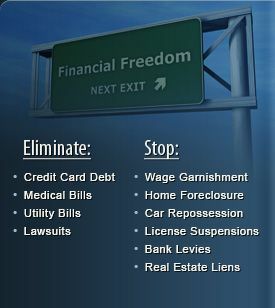 Are you in financial trouble? At our firm, Joseph P. Doyle, we are ready to help you get a fresh financial start. Filing for bankruptcy protection can stop foreclosure actions, wage garnishment, repossession of your vehicle, bank levies and other collection activities. Are you ready to find a solution for your money problems that will give you the opportunity to start over, free from debt? Contact our firm for a free bankruptcy evaluation. We not only offer legal representation to help you file for Chapter 7 and Chapter 13 bankruptcy, but all of the alternatives to bankruptcy that are available. We are committed to serving you with personal, professional service, and to help you to get the most out of filing for bankruptcy—which includes getting the maximum amount of debt discharged. Call our firm for trusted legal representation. Your first step is to have us look over your financial situation so we can advise you on how to get your financial difficulties resolved. If filing for bankruptcy is the best solution for you, we will assist you to file the petition. The requirements for filing bankruptcy are more stringent than they were in the past, and it is important that every detail submitted is absolutely accurate. We assist our clients through every step of the process, including ensuring the filing is correct, and that there is no missing information that could cause a long delay, or create a legal problem for our clients. The federal government gives debtors the opportunity to get a fresh financial start under the Federal Bankruptcy Act. Chapter 7 is the most commonly filed form of bankruptcy, and is often called "personal bankruptcy." This form of bankruptcy allows an individual or a married couple the opportunity to discharge unsecured consumer debt. The debts that are eligible for discharge will include credit card debt, medical bills, overdue utility bills, personal loans, payday loans and similar types of debt. Imagine your life without these debts; this gives you an idea of the level of financial relief you will experience after filing Chapter 7. At the end of the process, you no longer owe these debts, and have the opportunity to rebuild. The relief experienced begins with the "automatic stay," a court order that stops all of your creditors from contacting you by phone, letter or other means until you bankruptcy is completed, or from proceeding with legal action against you. If you don't qualify for Chapter 7, or don't want to file this form of bankruptcy, a good alternative could be to file Chapter 13. Chapter 13 allows you to pay off your debts in a repayment plan over 3 - 5 years. For those who own a home, have a co-signer on a mortgage or other debt, or make more than the state's median income and don't qualify for Chapter 7, Chapter 13 bankruptcy could allow you to halt foreclosure proceedings and get your financial problems under control and back on track. When you file Chapter 13, in the end the amount paid for your overdue bills is usually far less than the total amount owed. Our firm works to create a repayment plan that is affordable, and that the bankruptcy court is likely to approve. Each form of bankruptcy has advantages, and it is important that you get trusted help to make the right decision. Some people need help in resolving debt problems and may not need to file for bankruptcy protection at all. There are alternatives that have proven to bring debt relief for some of our clients, including debt settlement negotiations, or consolidating debt. Once you retain the services of our firm, your creditors can only speak with us, and we work to get your financial problems sorted out so you can move ahead, free from the stress of bills that you cannot pay. Call our firm to get legal help for your bankruptcy filing. We are respected and experienced, and we make our services affordable to those we serve. Phone: (630) 909-9676 | Local Phone: (847) 985-1100.